Earlier in the year we were looking at the importance of understanding mental health in the workplace, especially for managers. This month we are going to continue this by looking at promoting wellbeing and also at mental ill health in recruitment and promotion. 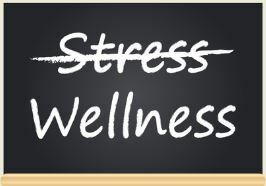 Having an understanding of what wellbeing is, what the benefits are and how to achieve it means that employees and managers are better equipped to look after themselves and even be more sensitive to the needs of those around them. The National Institute for Health and Care Excellence (NICE) provides guidelines¹ that can be helpful for managers when trying to promote wellbeing at work. Use a management style that encourages participation, mentoring and coaching, constructive feedback and delegation, ensuring that policies for recruitment, selection, training and development of managers recognise and promote these skills. Managers should be able to motivate employees and provide them with the support and training that they need for performance and job satisfaction, and can help to promote the mental wellbeing of employees, keeping their stress to a minimum. Ensure that managers are able to identify and respond with sensitivity to employees’ emotional concerns and mental health issues and know when to refer an employee to occupational health for support. audit the workplace for stressors – flickering lights, drafts, loud noises etc. A question that is asked a lot is what to do when a potential employee discloses their mental ill health after you’ve offered them the job. Really it shouldn’t make any difference. Once you are aware you can make any necessary reasonable adjustments to the workplace environment before they start work. A clinical diagnosis does not automatically indicate what a person can or can’t do. Each person and each diagnosis may be different. This is where Occupational Health can provide guidance on any adjustments that may be required and the implications of mental ill health on the employee’s performance and attendance. In some cases a potential employee won’t declare their mental ill health as they are frightened of discrimination. It is important therefore, that employers try to create an environment where potential new employees feel able to communicate their individual needs and abilities. If a person with mental ill health fulfils all the selection criteria, their health should not be a barrier. Make sure you understand and have policies and practices in place to manage reasonable adjustments. If you have any employees who currently have mental health issues, we can assist by doing face to face or telephone assessments and providing you with the advice that will allow you to effectively support your employee during their illness. For more information contact us.